Elementi Innovative Catering wishes to bring you creative local foods in the comfort of your own home or to your special event. Chef Nathan Susin has over 10 years experience in the industry and would like to share his travels and knowledge with you through his food. 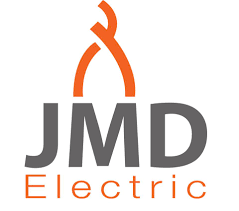 JMD Electric is an electrical contracting company that specializes in new home/duplex construction and upgrades/maintenance in older homes and businesses. Alyssa MacKinnon is WildWind Studios. Alyssa would like to share with you the gift of reliving important life milestones by capturing your moments through photography and film. Find and share Cape Breton News, events, jobs, products, classifieds, and more. Promote anything for free to thousands of readers every day! Located on the majestic island of Cape Breton, Breton Brewing Co. crafts natural, unfiltered and preservative-free ales & lagers. Passion cascades in every pour from this locally owned and operated craft brewery. Crafted by Passion! Gilmet Designs specializes in logo design, graphic design, and web design. We do custom t-shirts, hoodies, and sports apparel. Your one-stop shop for all of your custom design needs.